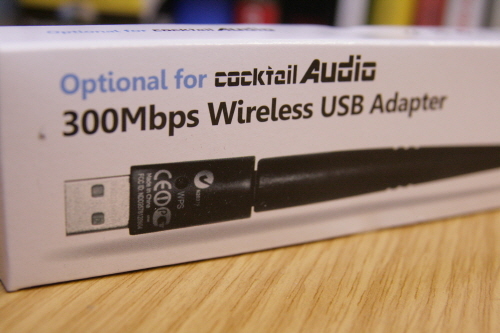 Optional WiFi dongle for Cocktail Audio X10. 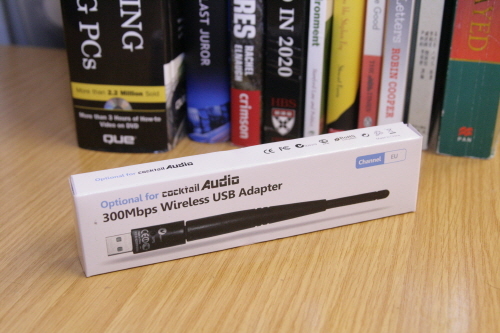 This will enable the X10 to connect to any network wirelessly to stream music and listen to internet radio without the Ethernet cable - RJ45. supports 64/128-bit WEP , WPA (TKIP with IEEE 802.1x), WPA2 (AES with IEEE 802.1x) & WPS compatible functions for high level of security. 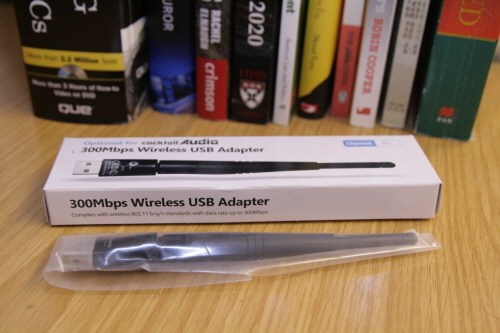 The wifi USB Dongle allows the X10 to receive wireless signal (Connect to a network wirelessly). 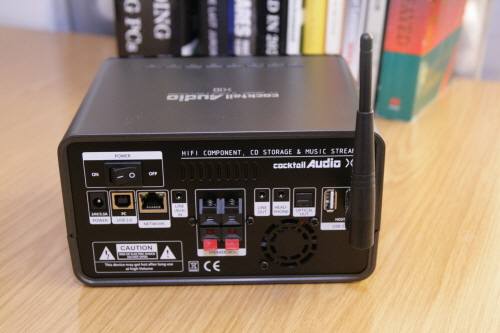 Use X10 as a home music server by connecting with your laptops, smartphones and tablets. 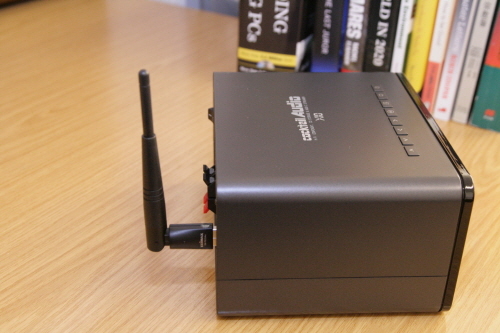 Listen and record internet digital radio stations wirelessly with a better signal. The dongle will be delivered in this box. It is designed in a user fiendly way. You can adjust the antenna in different angles. Easy. 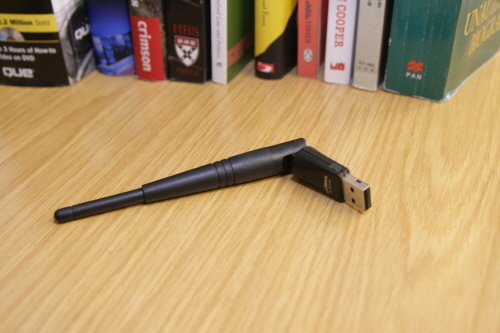 Just plug in the USB dongle into X10. Go to 'Settings' and select Network - Wireless. From the rear side. Simple. 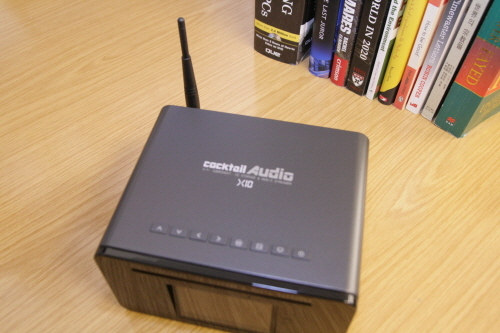 The CAP10 is the loud book-shelf speaker set for Cocktail Audio X10. Great value and sound.